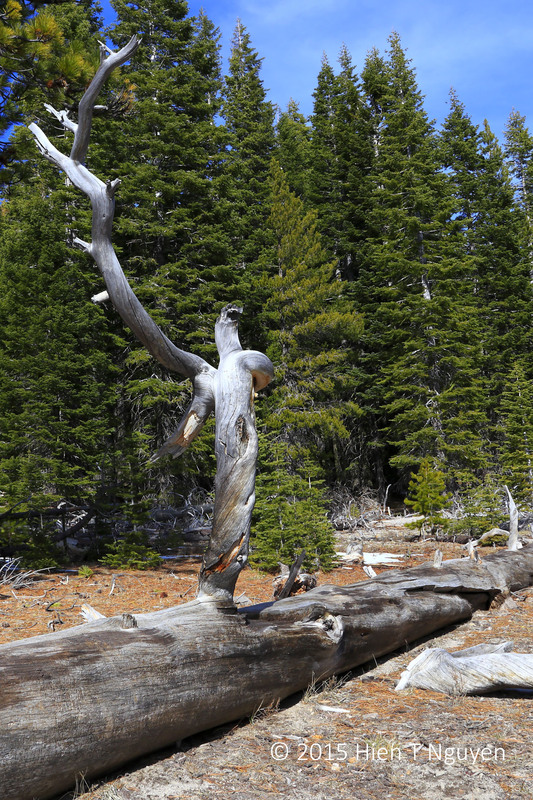 The following photos of weathered wood are from Lassen Volcanic National Park. I took them three weeks ago. Weathered wood at Lake Manzanita, Lassen Volcanic National Park. Amazing Art all those shapes and lines of the weathered trunks and limbs my friend! Nature’s beauty is unending in all its expressions! 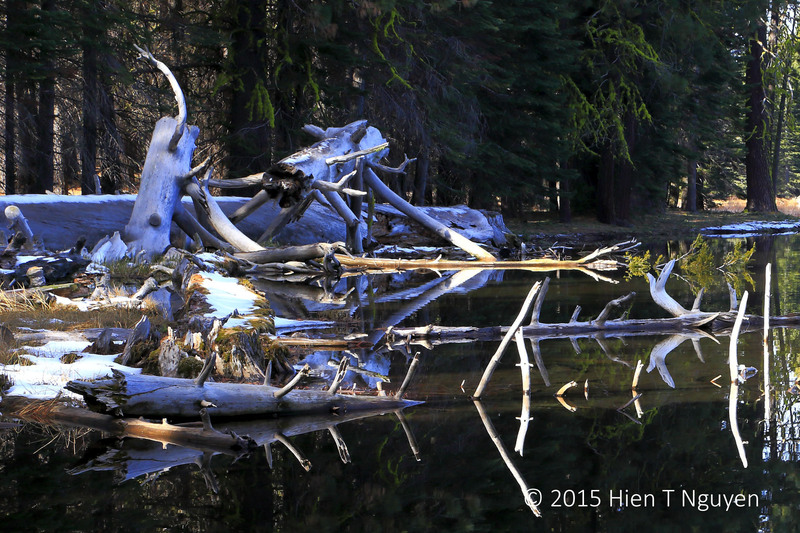 Loved your photos Hien!The first one with the spiky tangled branches looks gorgeous in the lakescape! As though it were nature’s artwork! They are unique and beautiful! That’s very unique form. The reflection on the first image is stunning! Old weathered wood and drift wood can be so beautiful and you captured these real well.